OKADA: HAS LAGOS DONE THE RIGHT THING? | ItuaLive! OKADA: HAS LAGOS DONE THE RIGHT THING? Okada is the name commonly used to describe commercial motorcycles in most parts of Nigeria. The name Okada was derived from Okada Air, the now defunct local airline popular in the 80’s. Okada Air earned its reputation by flying routes other airlines shied away from. It was considered the “all weather” airline and though not known for its comfort, if you needed to get to your destination as planned, you’d fly Okada. The name Okada was “borrowed” from the airline and conferred on commercial motorcycles because they provided the same efficiency the airline was attributed with. The use of motorcycles as a means of transport gained momentum in the 90’s largely due to poor road infrastructure in many parts of Nigeria especially the urban areas. Okada motorcycles gradually became a mainstay as population outgrew development. The infrastructure couldn’t support the population growth and while big cities like Dubai and London built subway stations, successive governments in Nigeria handed out thousands of Okadas as poverty alleviation strategies. The Mumbai Metro is under construction in the Indian. The system is designed to reduce traffic congestion in the city, and will be built in three phases over a 15-year period, with completion expected in 2021. This is planning. They could have easily banned tricycles to attain the modern city status overnight. The Lagos state government has begun to enforce its ban on Okadas from plying 475 routes within the metropolis. 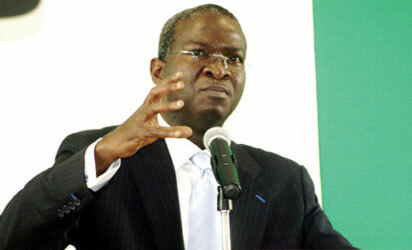 The Babatunde Fashola led government in its bid to “sanitize” the city has embarked on a journey that may prove difficult. Like most African leaders, he has gone all out against the symptom and not the disease. To say the immediate impact of this enforcement has made life miserable for Lagosians is an understatement. First of all, the number of people who have to trek long distances; Ikeja to Akowonjo, Agidingbi to Allen, Mobolaji-BankAnthony to Opebi, to mention a few is too large to turn a blind eye to. Hundreds of people clump around bus-stops hoping for buses that never come. The already excruciating traffic situation has been worsened because commuters who would rather leave their cars at home are now forced to drive to work. It took me over 3hours to get from Ilupeju to Ogudu last week! There is also the issue of adding to the already over-saturated labor market. It is hard to figure out what the thousands of Okada riders would do in the mean time. How will their families survive? These questions have to be addressed. They cannot just be wished away. I must state here that I have never liked Okadas. They have brushed my cars several times and sped off without apology. And when they do apologize, they wave a whimsical “sorry” as though that would fix my side mirror. They have no respect for traffic rules. They do not wait for street lights and truth be told, they serve as quick “get-away cars” used in robbery operations. Going by the statistics put forward by the Lagos state government, the number of Okada related accidents is staggering. Many have lost their lives because Okada riders are a law to themselves. The issue now is how to find a middle ground. How do we harness the benefits of Okadas without their liabilities? Lagos is not a modern city, at least not yet. Modern cities like Amsterdam, Paris, Dubai and Helsinki don’t have Okadas because they have good roads. London with its Oyster Card has one of the best local transport systems in the world. Speed trains span the lengths and breadths of these developed cities. They achieved all this by carefully planning and building infrastructure. The Lagos state government’s action will succeed in creating artificial “sanity”. Yes, Okadas won’t scratch your fenders anymore but these riders may find new ways of being more “productive” to society. I want Lagos to grow into a modern city. The government can work assiduously by passing sound policies and taking progressive changes. There was a time in Lagos when Molues were the popular means of transport. But with more Danfos buses and the entrant of the BRT scheme, they are gradually becoming obsolete. I do not support the argument that the law be repealed. I’m more inclined towards a more relaxed policy. Okadas should be banned from roads where speed limit is over 50km/h. Okada riders have been hun ted down like terrorist. Police rapid response vehicles have been stationed to impound motorcycles. If a rider leaves in Ikeja but has to work in one of the designated routes, how does he get there without a police man harassing him? Can he even carry his wife to church on Sunday? As much I have been an avowed believer in law enforcement, I would like to see the police employ this level of enthusiasm in putting arm robbers behind bars. The law was made for man and not the other way around. A friend sent me a photograph of Governor Fashola using Okada riders during one of his election campaigns on the same roads he has now banned them from. Well as they say in politics: there are no permanent friends. Eko Oni Baje o.